Stephen Satterfield is a food writer, publisher, and multimedia producer. 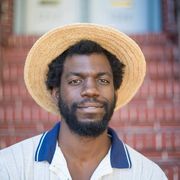 He is the founder of Whetstone Magazine, a quarterly print publication on food origins and culture. Before his career in media, he spent a decade as a sommelier and restaurant manager at fine restaurants nationwide. He is a pizza and french fry evangelist. King Solomon’s Table and Kaukasis spotlight Jewish and Eastern European food, respectively. Each exhibits an intimacy in storytelling and asks the reader to invest in its dishes’ historical and geographical context. Both books are notable for their authors’ personal affinity for the places they write about. Joan Nathan is a well-known and (rightfully) celebrated cookbook author. She’s an unmatched intellectual on Jewish food, with a process more akin to cultural anthropologist than cook. At 74, she’s accumulated a lifetime of stories and recipes from cooks across the global Jewish diaspora and shares them in the pages of her 11th title, King Solomon’s Table. In 1986, at the age of three, Olia Hercules, a London-based food writer and stylist, went on a life-changing family trip. It was a twenty-six hour car ride from her native country, Ukraine, to Azerbaijan—a former Soviet republic bound by the Caspian Sea and Caucasus Mountains (for which the book is named). This journey was both the impetus and inspiration for Kaukasis. The first recipe I chose to cook from King Solomon’s Table is Azerbaijani Kakusa with Swiss Chard and Herbs. It’s how Nathan begins the book, and seems like the logical choice to compare apples to Azerbaijani apples. The kakusa, a cooked egg concoction, is conceptually straightforward. I am comforted by its familiarity. This one is overloaded with bitter greens, added after you sauté onions and herbs in oil. Which is sorta my issue with the recipe. It assumes that all greens contain liquid, which, in the case of my chard—the ingredient named in the dish—it did not. Chard is liquidless. It needs more braise than sauté. Even though my leaves were destemmed and cut into formal squares, the residual steam of the allium mixture was not enough to cook them through. My chard situation still needed a considerable douse of water. Otherwise, it would’ve burned before it finished cooking. I’m given the same instruction for chard as for its suggested alternative, spinach, as if the cooking methodology for one applies to the other. It does not. Under different circumstances, this omission would’ve rendered a simple and gratifying dish unpalatable, with greens unevenly cooked. I cook with all of my senses, and have the confidence and recall of one who’s done so for years. In other words, I knew what to do. By making the requisite adjustments, I was able to enjoy a dish that was everything I want from frittata and quiche, but never get from either. On the other hand, a very redeeming and worthwhile recipe in the book is an uncomplicated and impeccable carrot salad (“Indian-Israeli-Style”). It goes like this: in a food processor, pulse carrots, garlic, hot pepper, and herbs. Scrape it all out in a bowl, and add lime, julienned green bell peppers, olive oil, and chopped pistachios. Mayonnaise, we’re told, can be added as an alternative to olive oil. I scoffed at this “choice” and coated the carrots in slightly more than the recommended 3-4 tablespoons oil. The results would be delicious as a salad or condiment. But I wasn’t feeling the bell pepper addition. Following instructions, I cut them into strips—an aesthetic and functional burden on the dish. (My preference would’ve been to dice.) Still, overall, the recipe is a surprisingly delicious foundation that you’ll be grateful to build upon. There’s a succinct introduction, and then straight to the recipes. The ingredients are mostly recognizable and in some cases, I found the components easier to prepare than pronounce. There are sauces and condiments that build from prior sections of the book. As a native Georgian (of the U.S. variety), I was particularly taken by Hercules’s fermented green tomato. Our tomatoes have no problem ripening in the summer, but harvesting them early, cutting them into rounds, dipping them into an egg wash, and dusting them with floured cornmeal before frying has been the breadth of my relationship with green tomatoes. As a fermentation enthusiast, I found Hercules’ green tomato pickle simple but revelatory. It’s a new favorite condiment. To make it, you flavor a salt water brine with peppercorns and bay leaf, then bring it to a boil. The tomatoes are quartered in a way that they just barely remain intact. Sliced garlic cloves, chili, and celery leaves (could be subbed with parsley, I think) are stuffed into the incisions. The stuffed tomatoes are crammed into (sterilized!) jars and the infused salt water poured over the top. Now, because it involves fermentation, this recipe takes two weeks to prepare. But on the bright side, you’ll have a ridiculously delicious condiment for at least twice that long, that can be enjoyed with meats, cheeses, in white beans, on toast, on khinkali. It’s a hell of pickle. I’m a little sheepish about my next recipe selection: Cauliflower steak gratin. Considering this is such a cool cookbook, full of dishes that most of us know very little about, my pick might seem a little lethargic. If I were to artfully defend myself, I might cite a tenet from my own culinary doctrine: The simplest things done best are the most appealing. I find joy and wonder in extracting divine flavor from the ancient and rudimentary. But also, I’m busy. Most of my home-cooked meals lack industry, and that’s what I like about them—and why I chose this simple and familiar cruciferous dish. The recipe begins with a skillet-searing of the vegetable “steaks” in a combination of butter and vegetable oil. I like to do the same, except I’ve always done it in brown butter, and where I might pair it with hazelnuts, Hercules brings in cheese, raclette or Ogleshield, specifically; it may be cumbersome to procure, but it’s melty and worthwhile. You incorporate it into a mixture of egg, garlic, spices and—if you wish—sauteed onions, then you pour it on top of the seared “steaks” (now in a gratin pan) and send it to the oven. I opted in on the onions and am convinced their residual heat helped to soften the cauliflower as it cooked, the same way it did in Nathan’s kakusa. Now, I have been to the Republic of Georgia twice, and I really like Georgian food. Because of this, I wondered if this book would justly capture the immense charm and character of the region. I know I struggle to. I’m happy to report it wildly exceeded my expectations. The selection of dishes goes beyond Georgia to represent other bits and pieces of Caucasian cuisine like Ossetia and Romania. 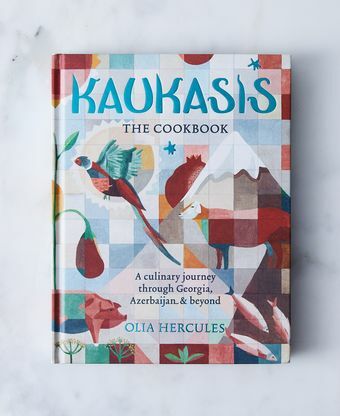 Hercules is a chef and a food stylist, and it’s her recipes, in tandem with her arresting imagery and enchanting dedication to the food of Eurasia, that give Kaukasis a special feeling. The combination captures the contemporary gastronomic revolution of the region, which, as is the case worldwide, defined by young people reclaiming their traditional foodways, in kitchens and on farms, and with respectful liberties, making it their own. Of course, Nathan set the bar on respectful culinary excavation years ago. It’s thanks to cookbook authors like her that Hercules has a foundation upon which to build, update, and personalize. When it comes to dissementing the historical context of her vast geographical and cultural purview, Nathan is lavish. This is fascinating, but if unencumbered utility is what you fancy in a cookbook, you will not be charmed by the deviations in King Solomon’s Table. At times, Nathan’s display of knowledge becomes an avalanche. It is so expansive, that the book can swerve, crashing into historical narration that can be hard to follow. No doubt the web of recipes and stories connects more precisely in her deeply wrinkled brain than on the pages. If I’m exposing my own intellectual ineptitude in this critique, I am prepared for the negative remarks. I’m not confident I can discredit your analysis. 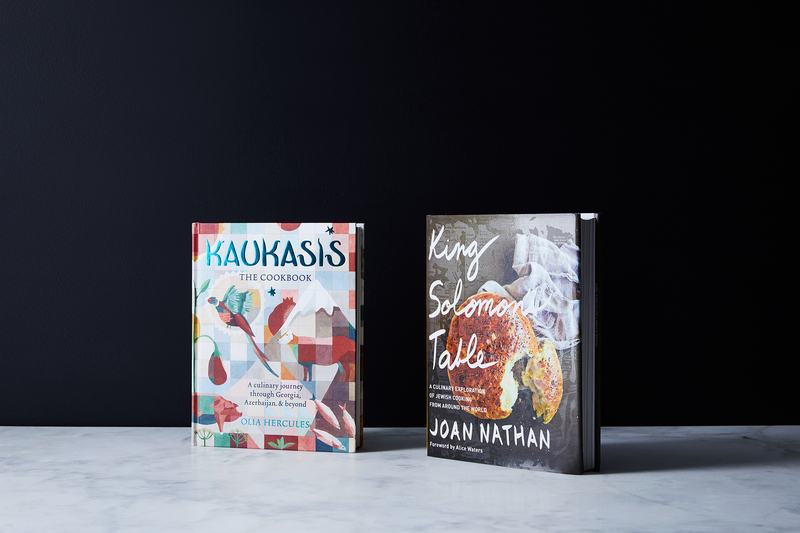 I hate to pass on such an iconic food scholar as Nathan, but I’m going with Olia Hercules's Kaukasis, which feels like a rewarding cookbook addition for even moderately engaged home cooks. Mr. Satterfield's informative yet soothing writing style has been resonating in my head. I will subscribe to Whetstone Magazine. Meanwhile, I suggest the commentators below who mentioned bias read Whetstone's "About" page, which ends: "This diversity accelerates our knowledge and empathy. Whetstone is unequivocally and gratefully a better publication because of it." I don't think I've read such a grammatically beautiful and elegant essay in many years, and certainly never on the web. He's convinced me, but I think I might need both cookbooks! Thank you, Stephen Satterfield, for this excellent and fair review of two fascinating books. The reviewer seemed biased to me, perhaps overly critical of Nathan at the outset, perhaps wanting to take down a giant of the field. I agree with others that the matchup was unusually helpful, and also agree that I was surprised that he seemed to base his review on a small, and possibly not representative, sample of recipes. What gives? I wonder why The Piglet Gods chose Kaukasis and not Tasting Georgia, which is wonderful and has great reviews? First of all, I wait all year for The Piglet! I get my hands on almost every book reviewed, and purchase most. It's my favorite Food52 column, hands down. But this review and reviewer were very disappointing. So he made a frittata ( or as he puts it "a cooked egg concoction") and a salad from the first book, and a green tomato pickle and a cauliflower steak from the second book. Are these really representative of these two cookbooks and the cuisines they cover? No real main courses? No desserts? Is he an ovo-vegetarian? Was he too busy to give these books the reviews they deserve? He does confess to being a lethargic home cook whose meals lack industry. Why exactly was he chosen to be a Piglet reviewer? Why exactly did he agree? Mostly I blame my disappointment on Food52 for selecting this reviewer, not having higher standards for the reviews, and for allowing this review to be the definitive statement comparing these books! Hey, what happened to the bracket and why can't I find a link for it anywhere? Thank you! I could have sworn it used to be in the top right corner. It used to be there. The editor didn't think think it was a priority, I guess. @nancy - thanks for the link. Ugh! It'sand those silly graphics! I can imagine the food52 office High-fiving on the animations while basics like the bracket were deemed unnecessary. Frustrating. I was surprised by the results of this matchup, mostly because the judge didn't cook much from either of them. How can two recipes be enough to evaluate either book? especially when they seemed to be so similar to each other? When I evaluate a cookbook, I look for recipes that scream at me, "Make me! Make me!" Particularly in the case of "King Solomon's Table," the reviewer did not sound like this was the case for him. I'm very familiar with Joan Nathan's work, and this seemed unfair. However, his review did make me interested to explore Kaukasis. Are people over the last day getting error messages every time they load any Food52 page the first time? It loads fine the second time. Another good review. Another thing that I love about this years Piglet is that the first round match-ups make so much sense. Food 52 is comparing apples to apples in all the pairs. BRAVO! That’s going to change fast! In Round 2, Kaukasis (which I picked up today!) goes up against Bravetart. Forget about those apples! I loathe the animations on the books. I think I'd go with Kaukasis in this match up as well, but how shall we interpret the use of "deeply wrinkled brain?" Can we assume this is a compliment to Ms Nathan, meant to indicate that her brain is so full of information? Or, does it bring to mind an aging of the brain, and, therefore, of the person? I think he was referring to the theory that the brain acquires more wrinkles (or "folds") when you learn something, hence a deeply-wrinkled brain would imply a lot of knowledge. But yes, the wording pulled me up short too. I am most likely A LOT older than most people commenting here, and I didn't take it as a pejorative comment. Even if one didn't have the definition at hand, in context it seemed to be a compliment. I’m confident that the use of “deeply wrinkled brain” was a reference to the authors extensive knowledge and experience. I am sure only respect for the author was intended. I was really excited for King Solomon's Table, and I absolutely love the intensive history section at the beginning of the book. However, I had trouble finding my way into the recipes, for reasons I couldn't quite articulate. Stephen Satterfield hit the nail on the head. I haven't yet gotten my hands on Kaukasis, but it's clear that I need to. I appreciated this review for its thoroughness and tone and for the fact that it was obviously written by someone who does a lot of home cooking but can bring a professional's eye to the situation. Bravo, Mr. Satterfield! And hurray for Kaukasis, a personal favorite this year. I bought a copy of Kaukasis over the weekend - I had been wanting it for a little while and when I saw that it was one of the contenders for this year’s Piglet, I bought it. Love this style of food and the flavours. Glad to see it advance to the next round.